by Lem BingleyThere was a time when any car that could creep under 100g/km in its CO2 exams would have been the equivalent of a geeky swot wearing bottle-bottom glasses. Not the type to turn heads, in other words. Today, the technology has moved on, and even the cool kids can be frugal. It’s now perfectly feasible to swan around in a swish car with a desirable badge, while hardly ever visiting a fuel station. Three of the best premium motors under 100g/km are lined up below. The fuel-saving Efficient Dynamics edition of BMW’s 116d hatchback differs more markedly from the regular 116d SE than you might imagine. For starters, the diesel engine under the bonnet has shrunk – it is actually a 1.6, whereas the other 116d models all boast two litres. Despite the reduced capacity, power and torque are the same at 116bhp and 260Nm, allowing this frugal car to hit 62mph in 10.5 seconds. A 10mm suspension drop, low rolling-resistance tyres and lengthened gearing allow the ED to score 99g/km in its official CO2 exam and 74.3mpg on the combine cycle test. Prices start at £20,565 for the three-door version of the 116d ED. It rolls on 16-inch alloy wheels and ships with a six-speed manual gearbox. Other items of standard equipment include Bluetooth hands-free compatibility, a USB socket, front foglamps, a multifunction leather steering wheel, a 6.5-inch central display and an iDrive controller. 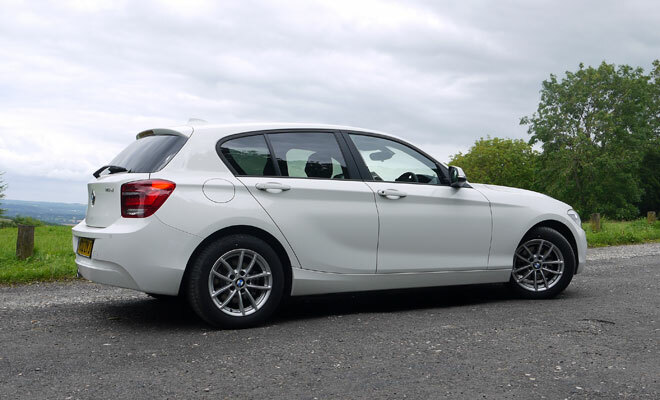 Searching among the used BMW 1 Series cars available through the manufacturer approved scheme suggests that £17,000 would be a reasonable starting budget. That should land a nine-month-old example with under 10,000 miles. There doesn’t seem to be much difference between three- and five-door models in second-hand prices, despite a £530 premium when new, making the more practical car the better bargain. 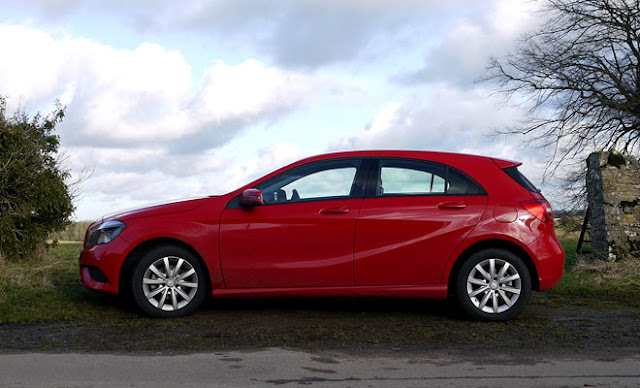 Only one option in the current Mercedes A-Class range slips under 100g/km. The diesel-powered A 180 CDI SE boasts a score of 98g/km and also happens to be the second cheapest car in the line-up, after the petrol A 180 SE, starting from £21,445 before options. The rock-bottom A 180, which used to start under £19,000 and featured steel wheels among other distinctly non-premium facets, no longer appears on the Mercedes-Benz price list. The A-Class has an attractive, muscular shape and SE provides enough kit to feel like a proper Mercedes rather than an offshoot of the Benz van division. Its 16-inch alloys won’t exactly fill the arches but don’t look like they shrank in the wash either. The upholstery comes decked in Mercedes’ fake leather and suede, which is infinitely better than it sounds. There’s also a soft leather multifunction steering wheel. Comfort suspension also comes as standard with the SE, which is a blessing as the sports setup found on other A-Class models makes the car feel as if the wheels and tyres have been carved from rocks and bricks. The car isn’t especially sporty after all – taking 11.3 seconds to hit 62mph – but does boast a combined cycle fuel economy rating of 74.3mpg. The A-Class is still relatively new but there’s already a smattering of stock available through the Mercedes approved used scheme. The oldest examples, six months old on a 62 plate with 6,000 miles on the clock, now start comfortably under £19,000. Three models in Audi’s latest A3 line-up achieve 99g/km, all powered by the same 1.6-litre TDI diesel engine. Customers can choose either SE, Sport or S-Line trim, in the three-door hatch or five-door Sportback body style, and still stay under 100 grams. Base prices run from £20,155 for the three-door SE to £24,150 for the S-Line Sportback. SE models boast basic items required of any car with premium pretensions, including aircon, Bluetooth and 16-inch alloy wheels. Sport gains bigger 17-inch wheels, climate control and sports seats, among other upgrades, while S-Line adds LED running lights and 18-inch alloys. All variants come with a six-speed manual gearbox, and the engine is identical across the board, delivering a peak of 105bhp and 250Nm. The marginally lighter hatch can scamper to 62mph in 10.7 seconds, while the bigger Sportback requires two tenths more, irrespective of trim level. 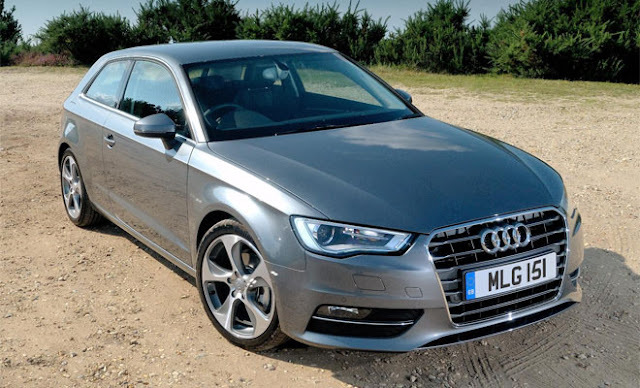 The new A3 hasn’t been around long enough for many examples to filter into the used market. Audi’s approved scheme turned up a few three-door SE versions as low as £20,000, Sport editions from £21,000 and S-Line’s from £22,000. The Sportback is even newer and will command a couple of thousand more, if you can find one. The best bet for a good A3 under 100g/km is actually to come back this time next year, when a lot more will have spent 12 months pounding the motorways and will be ripe for a new life as a used bargain.